It's always good to give to charity. And if you get some cool prizes back for it, bonus. Well, over on the WAMP forums, they're looking to raise money for Tommy's. As part of that, you can buy tickets and potentially win some awesome stuff? What kind of stuff? Well, they're going to be showing off new prizes daily from now until August 20th. How's everyone doing today? Ready for the weekend? I think I'm gonna keep mine rather chill, just putting together the last of my friend's Guild Ball stuff. They're already assembled. They just need greenstuff work done on 'em (filling in some small gaps, filling in the base slots, stuff like that). Other than that... not much. Plan for Thanksgiving, I guess. But as for right now, it's time to nosh on some bite-sized gaming stories. 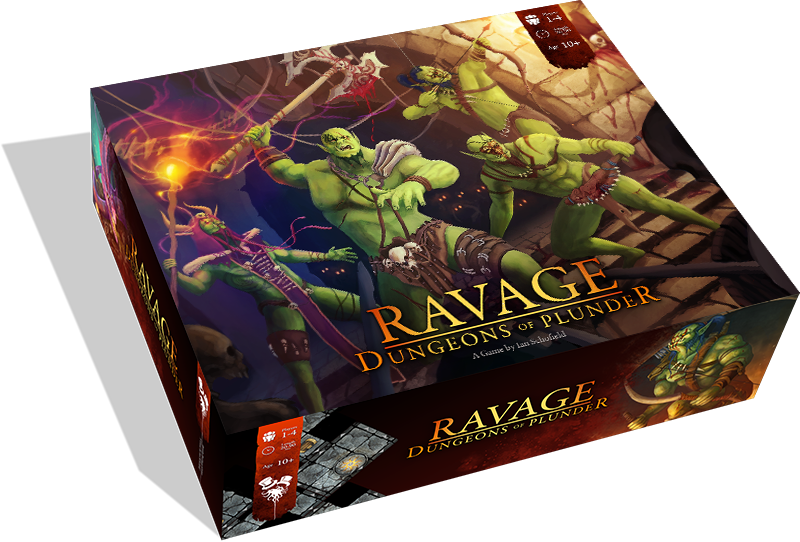 Today we have: New D&D Icons of the Realms Miniatures Starter Set Now Available, Steamforged Previews Steamcon/Black Friday Sale, Confrontation Evolution Fan-Made Rules Posted, Wamp releases Master of Roots Bust, Ever wonder what Kriegsspiel Dice looked like?, Super Chibi Round 2 - Reboot Late Pledges now open, Final Days for Portable Paint Station On Kickstarter, New Numidian Infantry Available From Victrix, Spot It! Dobble Coming Next Year, New Releases Available From Hitech Miniatures, German Language Version of Thunderbirds Board Game Up On Spiele-Offensive, and Kromlech New Release: Human Skulls. If you're in the Northern Hemisphere, you'll probably want to start staying inside because it's getting cold out. If you're in the Southern Hemisphere, you'll probably want to stay in because it's getting so darn hot. Either way, you shouldn't be outside. You should be inside, painting. For extra incentive, Wamp has Wamped VI happening now. Wamp has started another of their world-famous painting contests. This time the focus is on Mindwork Games. They're a brand new company out there in the big world of miniatures. Their first mini is the Mad Clown. Anyway, if you think your painting skills are good enough, get yourself set up and get painting. 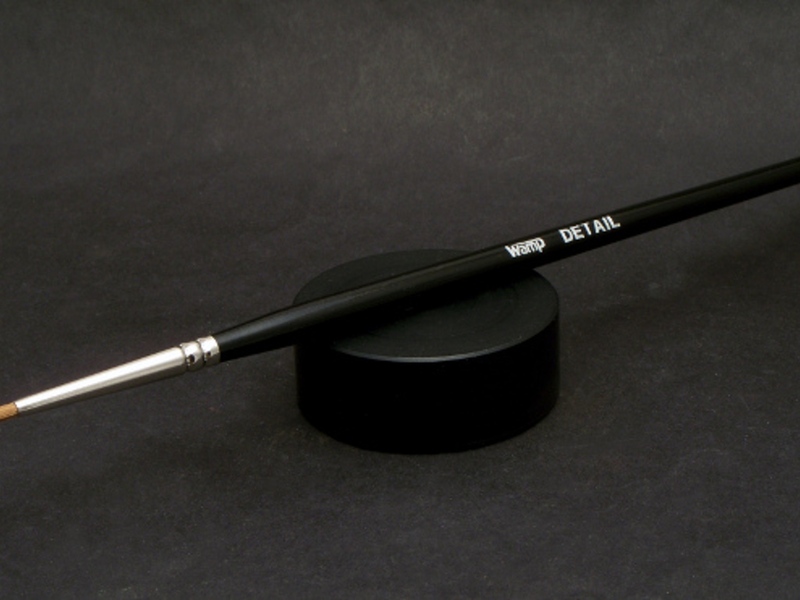 Wamp is running a Kickstarter campaign for some new set of miniature painting brushes. We all know how important painting is to the miniatures community, and Wamp is well-known for their regular painting competitions. As such, they wanted to make accessible a set of brushes that they thought would be the best possible. The campaign's more than 10x funded already, and is set to run for another 12 days. Wamp has their 5th annual year-ending painting competition up on their website. Open to any manufacturer, scale, subject (including busts), you have until February to get your piece ready. 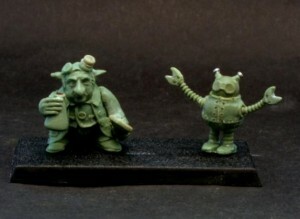 Wamp has their latest mini now available over in their webshop. Say hello to Little Joseph. He is 30mm scale and stands an impressive 76mm tall. Sculpted by Tytanowy Janusz. Wamp has a new contest up on their forums where they want to see what sort of crazy creation you can create by using bits from at least 5 different models. Wamp has launched a brand new contest aimed at convertors and scratch builders. the aim of the contest is to not only paint a fantastic entry but use various bits and pieces from a variety of miniatures,bit box or whatever you find in the dustbin! Portal Magazine has posted issue 36 up online for your downloading and reading pleasure. 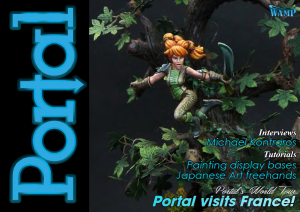 Issue 36 of Portal Magazine, the FREE painting and modelling magazine is now available from the link below. Tutorials from JBT and Pepa Saavedra, as well as our usual regular articles. There have been some issues with Android downloads, but if you are using a laptop or desktop you should be fine, so keep trying. We are working on this in the meantime. Wamp is running another of their world-famous painting contests. This time it's Red Box Games. Wamp's monthly sponsored contests return after a brief hiatus with an old favourite, Red Box Games. Win upto $100 worth of RBG goodies. Wamp is holding another one of their painting contests. This one focuses on some Wyrd miniatures. the brilliant and rather dashing folks here at Wyrd are once again sponsoring one of Wamp's infamous painting contests. Some great prizes up for grabs. Its open to any and all Wyrd Miniatures. the deadline is end of April. Wamp released their new Popeye Orc bust over in their webshop. I still think he likes spinach, though. Wamps 3rd release is an Orc bust sculpted by Robby Crawforth. Wamp has another of their famous painting contests underway. This one's Studio McVey. 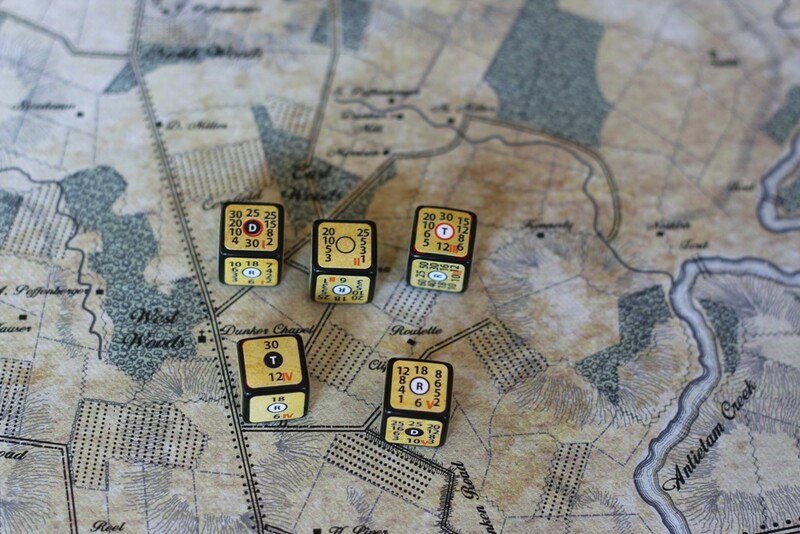 Our latest contest is open to all Studio McVey miniatures (including Sedition Wars). Portal Magazine has issue #35 now available to download for free for your reading pleasure. 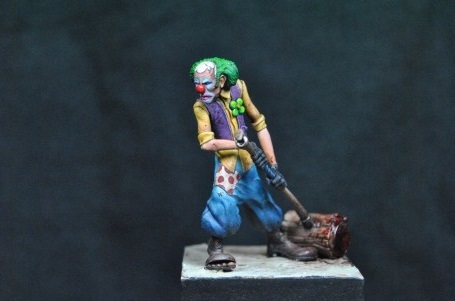 Wamp has the fourth year of their painting competition going on now over on their forums. Wamps end of year bash is back for its fourth year. This is our anything goes contest with no restrictions on genre,scale or manufacturer. Plenty of prizes (including spot prizes). 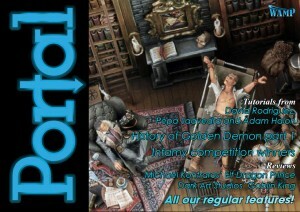 Portal Magazine now has issue 34 available to download, for free, for your reading pleasure. Wamp is now taking pre-orders for their Professor Sprocket and W.I.D.G.E.T. miniatures over in their webshop. Professor Sprocket and W.I.D.G.E.T. are the leading lights in Goblin Academia. The Professor's research has with the aide of his petulant automaton helped create such wondrous creations as the Gerbil Powered cannon and Grapefruit Goggles, although the highlight of his career was his appearance on Dragons Den with his Gnome operated Scouse detector though unfortunately he didn't secure funding after he accidentally blew up 3 of the Dragons. Sculpted by Sergey Savenkov and cast in resin. The Professor is 15mm from feet to eyes with W.I.D.G.E.T. slightly shorter, they are 28mm scale. The professor comes holding beaker in one hand and pipe wrench in the other. The set includes both the Professor and W.I.D.G.E.T. as well as two round lipped bases. We have now made him available for Pre Order. Awaiting casting we expect despatch to be December 2013 at the latest. Normally priced at £9.99 for the set we are offering them for £8.99 for anyone that pre-orders them. As soon as the physical stock comes in we will end the pre-order offer so best to take advantage while you can. Wamp launched another of their world-famous contests. This one's for you sculptors in the audience. Wamp in association with Black Dragon Castings has launched its first ever sculpting contest and aims to raise money for charity. Choose a charity of their choice for donations. 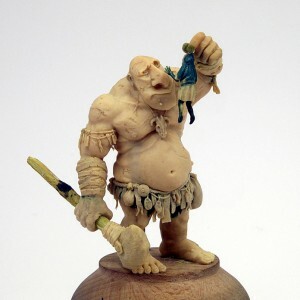 Contest is open to any scale,genre or topic of sculpt including scenery or accessories. Deadline is 30th November 2013. Portal has issue #33 of their magazine available to download for free from the Wamp forums. Wamp is running another of their famous painting contests. This one's Darklands-themed. Wamp's latest contest is all about Darkland's the fantasy range of 30mm scale miniatures featuring everything from muscle-bound men to huge demonic creatures. Deadline for entries is end of September 2013. There are categories for Single figure, Units and Monsters. There are prizes for each categories, overall winners and every entrant will receive a prize just for entering.